Is getting married selfish because you’re not giving your whole heart to God? “I am recently, as of a few days ago, feeling this strong pull to investigate the option of the religious life. But it really freaks me out. I never seriously considered it as an option, ever in my life; it honestly never felt like it fit me at all. And it still doesn’t, to be honest. I am having the hardest time, because I know that I would do it, if God asked me, because I love Him too much to say no. I would have to say yes. But I guess it boils down to this: I feel like if I get married, I won’t be giving myself completely to Him. I would feel like I didn’t give Him my all, which is what I should do, right? Is getting married selfish, because you’re reserving part of your heart for someone else other than God?? But on the other hand, I feel like if I become a nun I won’t be able to not feel sorry for myself all the time that I’m “missing out.” (I know I wouldn’t really be missing out, but I don’t know if I could stop myself from feeling that way). I feel like if I become a nun, a part of my heart will never come alive… The part of me that longs to love someone else and be loved and romanced by them, and the part of me that wants to have kids. I know that all of this could be fulfilled in a different way, like in a spiritual way, if I became a sister, but it wouldn’t be the same. And then I feel guilty and selfish for feeling that way. I guess it’s just becoming very clear to me that I need to arrive spiritually at the point where I could become a sister joyfully, and not be afraid to let go of my dream of falling in love/marriage, but I don’t know how. Any advice on how to deal with those obstacles? Because all He has been telling me in prayer is how much He loves me, and how good His plans are, but I am still scared of what that means.” – M.
Feeling “freaked out” is an appropriate response when someone is first considering a vocation to religious life. 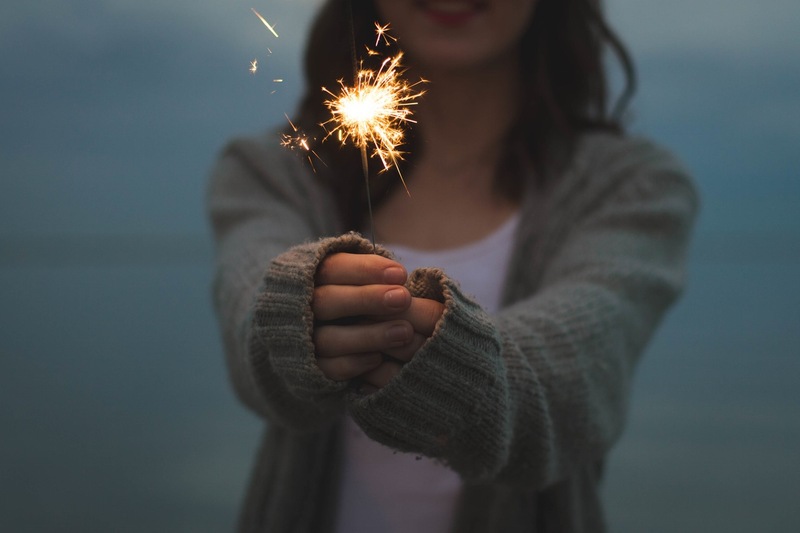 A religious vocation is a beautiful, awesome call—and if we are honest with ourselves, we know that we are fragile, vulnerable “earthen vessels.” Feeling awed or overwhelmed by the thought of being called to religious life means that someone understands the vocation to religious life on a more-than-superficial level. So that’s a great first step in discerning our vocation. But we need to have a good understanding of marriage, too. A couple of clarifications might be helpful at this point: in both marriage and religious life, we are called to offer our entire selves and our entire lives to God. The difference between these vocations is not in how much we give from our heart, because we are to give all in both. Rather, the distinction between the two vocations is in how we give our hearts. In marriage, the spouses retain their individual identities, vocations, relationships, etc. But in their covenant of love with each other, they have a new way of living and loving. From now on, their journey through life is with, and often through, their spouse. Their love together—a gift from God to remain centered in God—bears fruit in their children and in nurturing in their family. For a religious, God is the primary “Companion” or “Spouse” on their spiritual journey. The religious brother or sister’s love for God and God’s love for them bears fruit in their mission for their spiritual children, to be for them the face of God. In both vocations, the overarching human vocation to love God and neighbor is a call to give all of one’s life to loving. There’s nothing selfish about either. It’s really important to be open to God’s call. But if we are seeking to be open to God and, after praying about it, find that we are continuing to think about religious life simply because we think being married is selfish, then perhaps it would be helpful to shift the focus of our discernment from religious life to marriage. Perhaps what we are calling “selfishness” is simply an indication that we deeply desire marriage. 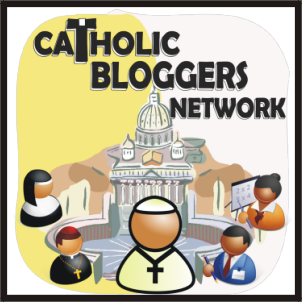 (We are still discerning between the two vocations, but we are focusing on the discernment in another way.) Many times, a young woman is discerning a religious vocation because she thinks she “should” become a sister, due to expectations of others or even of herself that aren’t really discerning God’s will for her. 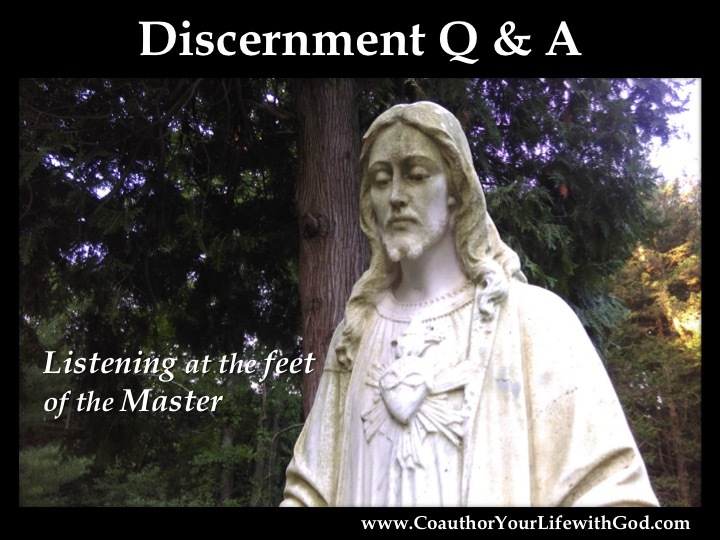 You may find it helpful to read (or re-read) these two posts: What is the Connection Between Desire and Discernment, and Discerning with Deep Desires. Part of discernment is indeed becoming holily indifferent to both options. The reason for this indifference is so that we can hear God’s invitation and fully embrace it. If God is already giving someone a strong indication of their vocation, at that time it’s more important to pray with that than to put aside the possible inspiration from God aside to pray with the other choice. For example, someone discerning marriage could pray with some of the following questions. What are my dreams for marriage? Are my dreams of marriage idealized (for example, based on a romantic movie I watched), or are they real, similar to faithful, beautiful marriages that I have witnessed in real life? Am I discerning the vocation to marriage with a full realization that both vocations I am discerning between (marriage and religious life) are good and holy; but that God is giving me the gift of one of them? How do I feel living the vocation to marriage will help me to live life fully, that is, live the fullness of my vocation to love? Finally, I want to affirm the importance of prayer and trust in God in all of this—especially the way of praying and listening expressed in the question. God does love us, and God’s plans for us are always good. God wants what is best for us. We may still feel scared because we don’t know what the future holds, and because our vocation is not something we can control. It is important to remember that, as much as we try to actively discern, God is going to guide us in the concrete circumstances in our lives. For many of us, our vocational discernment gradually unfolds over time. We can trust in God’s loving guidance. The wonderful thing about discernment is that, growing in our relationship with Jesus, we come to realize that our vocation is a gift: a gift to embrace, a gift uniquely suited to us individually, and a gift that will lead us to the greatest love, and thus to great joy and fulfillment. discerning marriage, discernment question, is marriage selfish?